Valencia have launched an attempt to sign Manchester United’s Argentine defender Marcos Rojo. The Spanish side believe they may be able to tempt the versatile defender to come to La Liga due to the fact that United are said to be closing in on a £38 million deal for Benfica centre-half Victor Lindelof. Valencia’s sporting director Jesus Garcia Pitarch has already arrived in England, as per reports, and has tried to start discussions with Rojo’s representatives. The La Liga outfit are ready to pay around £14m, but Rojo’s recent improvement in performances and decent situation in Mourinho’s dressing room means it will not be easy to sign him. United boss Jose Mourinho has been full of praise for the Argentina international recently, and has even rebuffed interest from China to keep him. Rojo, who has made 76 appearances for the Red Devils since joining from Sporting Lisbon in 2014, was linked with a move away from Old Trafford in the summer following Mourinho’s arrival, while a January exit also seemed extremely possible at the start of the season. However, the 26-year-old been called upon frequently in recent months, after long-term injuries sidelined Chris Smalling and Eric Bailly, and the versatile defender has grabbed the opportunity perfectly. With Bailly set to leave for African Cup of Nations at the start of January, Rojo will be needed to help United continue the fight for the top four this season, which in return, suggests that any January deal for the Argentine may not happen. 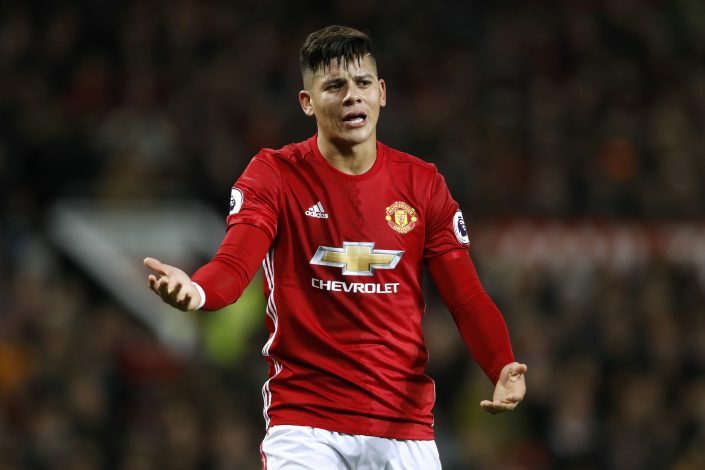 Since the beginning of his run in the first team from October 29, only Steve Cook (91) has been able to complete more clearances than Rojo (78) in the Premier League.